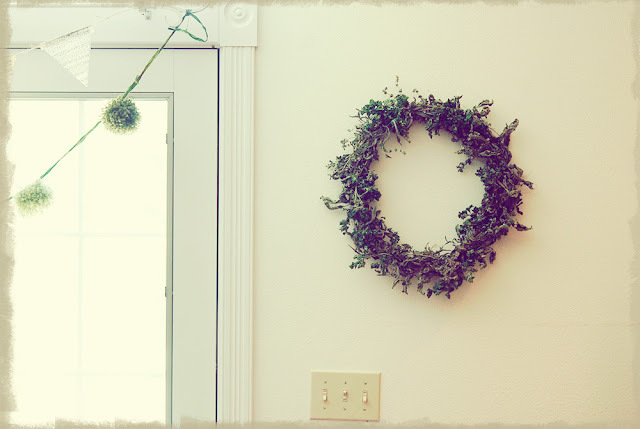 The Herb Wreath, Dried - Jill Ruth & Co. 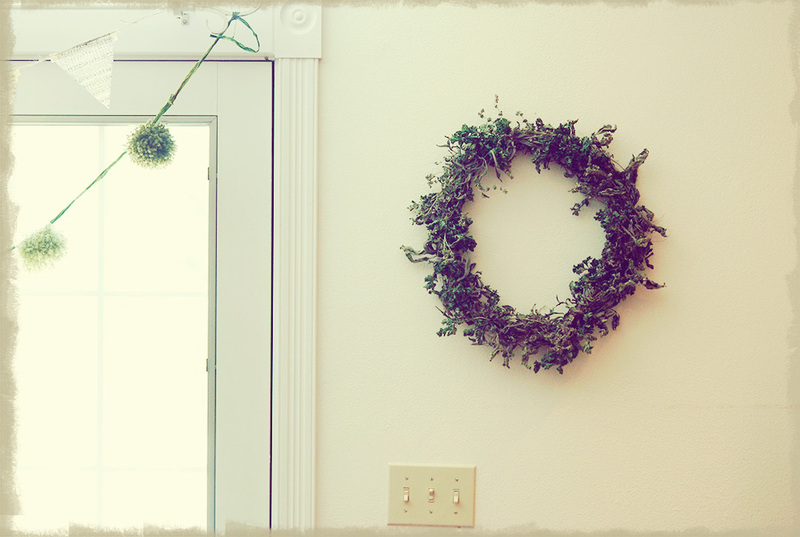 The herb wreath I posted about here dried really well. It's nothing compared to what it looked like fresh, but hey, this will last longer than 20 minutes! I could primp it a bit for a more round shape, but nah. I like it as is. Which is done. :) It only took about 5 days to dry. I left it hanging horizontally upside down for the first three days and futzed a bit with tying sprigs tighter when I took it down. I let it finish drying lying flat. My herbs are still going in the garden so may have enough left to make another smaller wreath yet, so hopefully will get that done too. It dried beautifully. It will make a lovely "welcome home fall"! I love it! I have herbs and need to do something like yours for myself. The wreath is lovely--I missed my lavender--last I looked it was beautiful---I was going to pick some and try drying it. Oh well next year! Oh... this is gorgeous!!! I accidentally grow rosemary... not sure how I do it - but it makes great "substitutes" for bushes!!! 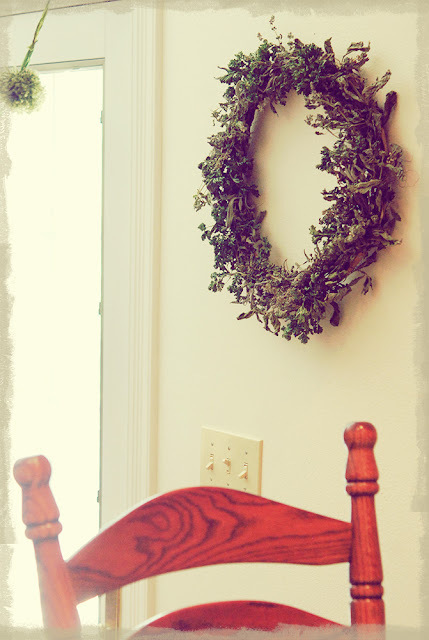 I love this wreath!! You have inspired me to do something with my herbs and lavender! So pretty! Gorgeous wreath! I bet it is heaven to walk by and smell. I love my lavender plants so much! They are a bright spot in my garden. I missed the first post and had to go back and see what it looked like when you first made it. Beautiful then.....and it dried beautifully too. I love it! I'm going to Do that ... For sure!